It’s the dawn of a new month but yet mortgage rates for housing markets still don’t seem to be looking up. Apparently there isn’t much improvement in the economy since last month as investors are still apprehensive about about the economy and the stagnant housing market. Today, the 30-year fixed mortgage dropped 4 basis points down to 4.37 percent. A basis point is one-hundredth of 1 percentage point. So far, this has been the lowest rate level for the fixed rate mortgage rates for a total of 26 years. It seems the economy is making a habit of hitting record lows as it seems to surpass its lowest point every week. Last week was another historic low at 4.41 percent, but yet the rates seem to go even lower. With this ongoing trend, it’s no surprise to predict that next week will be seeing even lower results. The 15-year fixed rate mortgage also fell with a whopping 15 basis points to only 3.48 percent. For 30 year jumbo mortgages, or those for more than $417,000, is now at 4.89 percent, which is again down 5 basis points from last week. 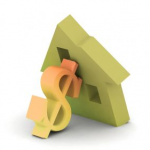 Adjustable rate mortgages are not getting any relief as well as the 5/1 ARM fell 5 basis points to 3.07 percent. The 5/1 ARM is actually has a fixed rate for 5 years before being adjusted annually thereafter. Although now is considered to be the best time to shop and apply for mortgages because of the low rates, many home buyers and investors are not convinced that this is the smart decision. The volume of the applicants for mortgages declined a huge 9.6 percent last week as compared to the week before that according to the Mortgage Bankers Association survey. Most of the mortgage applications made last week were all about refinances. This trend is expected to go on for as long as the U.S. Economy can’t recover. It’s time to really think about whether or not the economy can bounce back, and if history says it’s a yes, then there may be some clever thinking in investing in the housing market now.